NYC Wedding Photographer - Bailey Quinlan - Bailey & Yuta Travel to Japan - Round 2! Japan is a very special place to Yuta and I. He was born there and his entire family lives there. We FINALLY were able to travel there to visit them (me for the first time EVER, Yuta for the first time in 8 years) in the springtime of 2017. Words cannot describe how incredible that trip was- to finally be able to spend quality time with his family (including his mom!) for the first time, to be surrounded by a completely different culture where I didn’t understand the language and (needless to say) stood out from the crowd pretty considerably, trying new delicious food, exploring historical places, and most importantly NOT WORKING for almost a whole month! It was epic. So we decided we need to go back every year- and we’re going to make it happen. 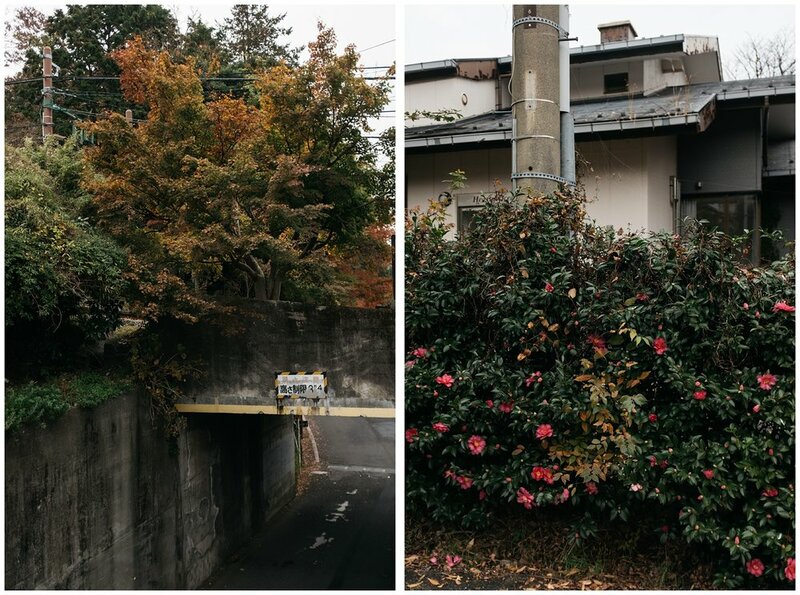 These photos are from our recent travels there in November, where we spent a lot of time in Tokyo with Yuta’s family, revisited some of our favorite spots, and were also able to take a few trips to other gorgeous nearby places. It was great having our little FUJI point-and-shoot that we were able to bring anywhere and whip out on a moment’s notice. It did get tough when both Yuta & I wanted to take a photo at the same time, but honestly they came out completely differently anyway, so we were able to tell them apart. Another reason why I love photography- it’s so subjective. What you choose to include and leave out of the frame is completely personal. And post-processing is a whole other story: choosing your favorites out of the 100s or 1000s you shot, and then editing them the way you want. I don’t think I lot of people realize how much of the creative process happens AFTER you click the shutter. Anywho, of course we also made made it a goal of ours to see as much nature as we could, even while we were still staying in Tokyo. 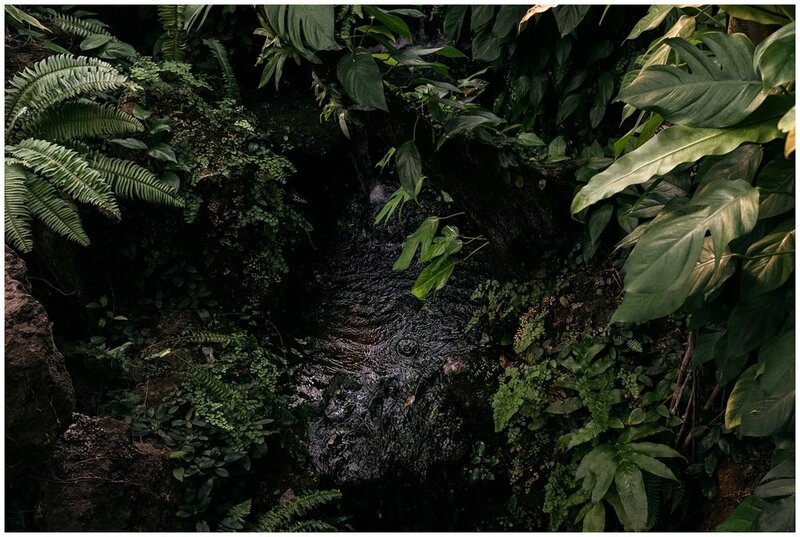 The first several photos are from a short subway ride to TODOROKI GORGE, which was still so lush and green even in the middle of November. We also did a day trip to YUMENOSHIMA TROPICAL GREENHOUSE DOME, a botanical garden also technically in Tokyo. We spent one whole day exploring the island, which you have to walk across a long bridge from the mainland to get to. There’s only really one “road,” and it’s all uphill. We seriously couldn’t imagine living there- you’d have MASSIVE calves. We walked the winding path up countless steps, with little shops with souvenirs and snacks, and ancient shrines along the way. There were also a BUNCH of stray cats, which some of the shopkeepers knew by name. They roam the island, guarding the shrines- needless to say they stay very well-fed. 100s of steps later, we reached the magical IWAYA CAVES on the far side of the island, which were naturally carved out from the side of the cliff by the changing tides over millions of years. 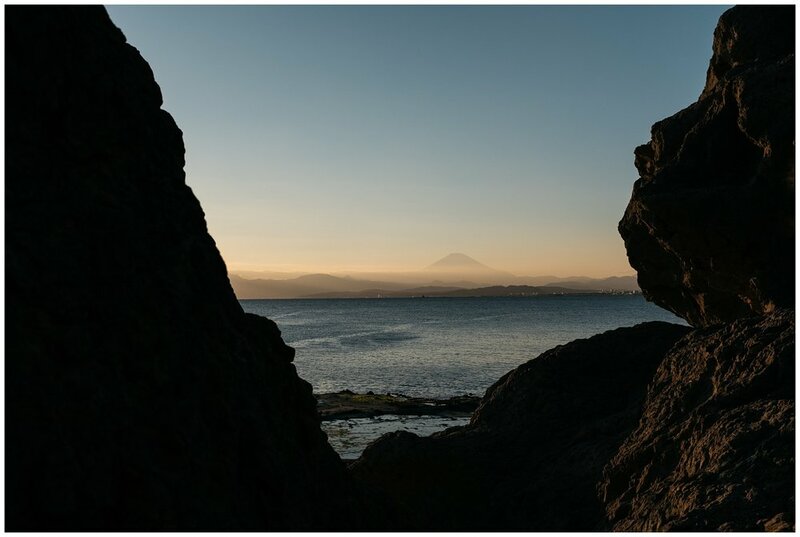 Thankfully we were there at low tide and were able to walk out on the flat rocks as the sun was setting behind Mount Fuji. 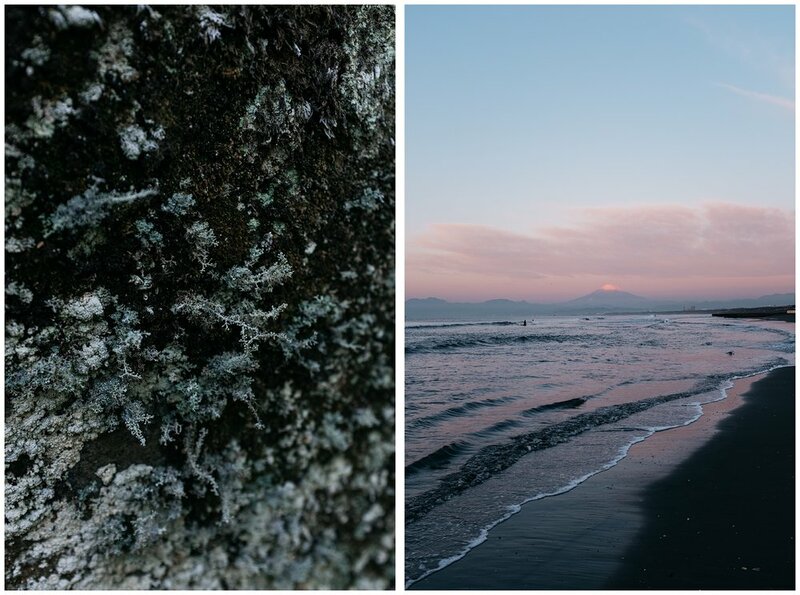 There are a few shots from Kamakura mixed in there too, which we’ve actually visited four times now (twice this time around AND twice on our first trip to Japan.) If/when we buy a house in Japan- I’d want it to be in Kamakura. 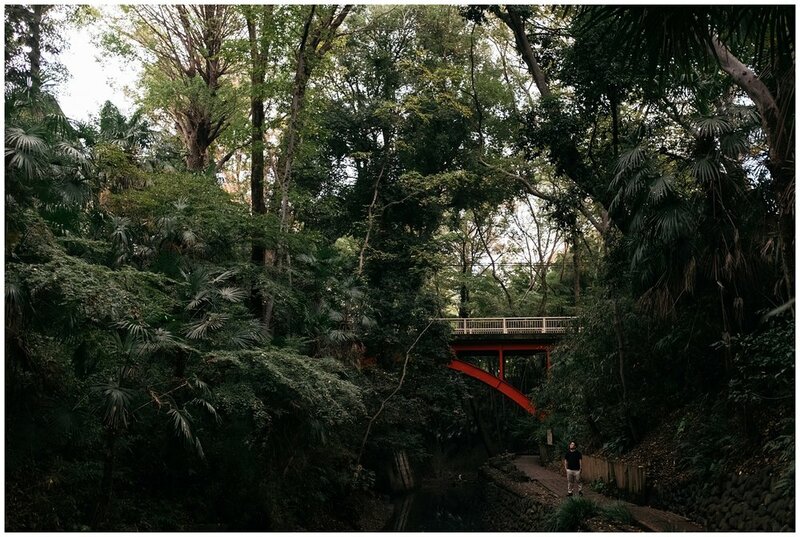 It’s only about a 40 minute train ride from Tokyo, and there’s so much nature, countless historical temples, and great food and shops. Whenever we walk down the street, we pick out which house we’d want to be ours- someday. 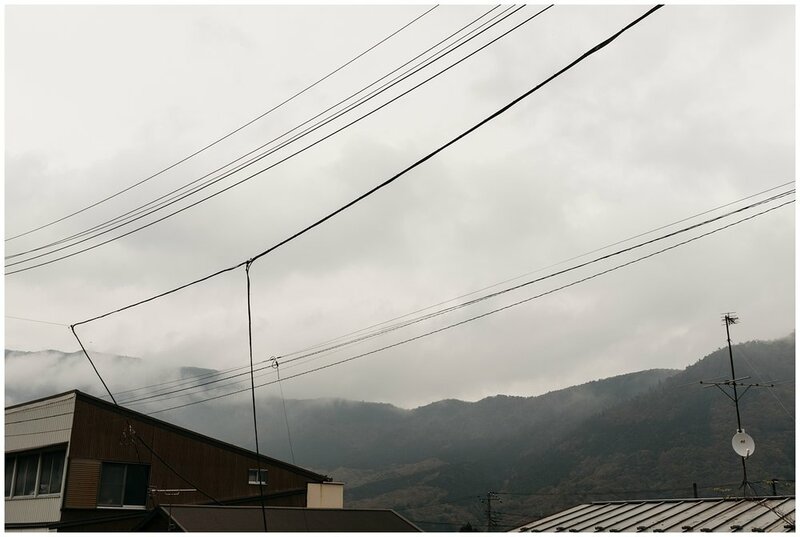 Then we visited Hakone, which is now one of my favorite places in the world. It’s a town situated around a lake in the mountains and it’s absolutely stunning in any season- we just happened to be there in the fall during peak maple foliage. I’d love to go back, but I WISH it was easier to get to, and also to navigate once you’re there. I literally couldn’t imagine doing it on my own without Yuta there translating as we asked for help from every bus driver, hotel concierge, and subway worker for directions. It’s actually pretty crowded with tourists, but we made an effort to do things a little more off the beaten path. Believe it or not, this is actually part of the reason why the destination is so popular! 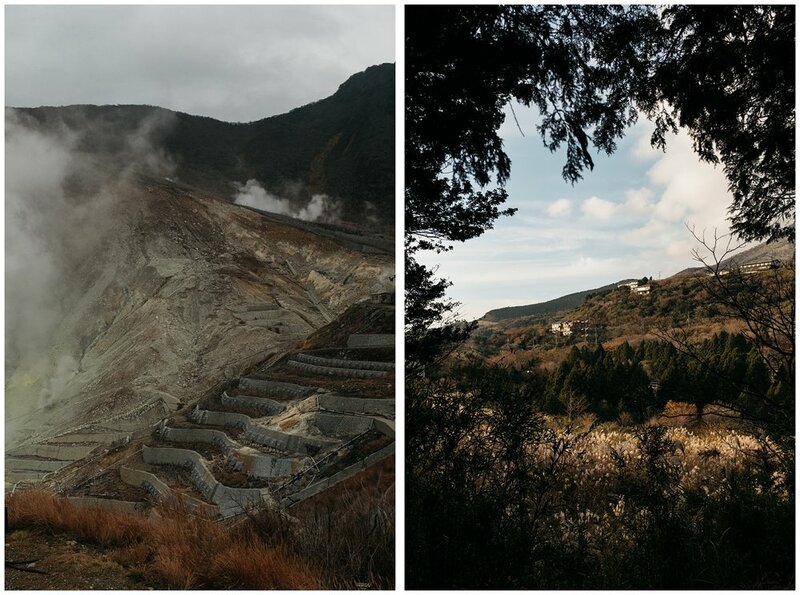 They enrich the water with the sulfur, and then use it for onsen (natural spring water baths.) We took at least 2 every day that we were there, and I’ve never felt more relaxed in my life. It’s good for your body, mind, and spirit- you’ve got to do it if you find yourself over there in this lifetime. 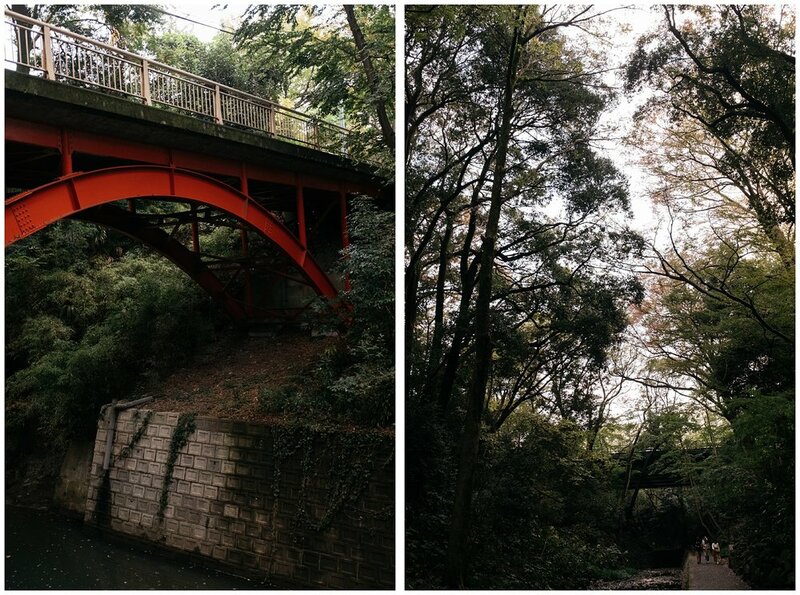 We went on more nature walks, and stopped at more shrines along the way. My favorite place we went was the MOSS GARDEN at The Hakone Museum of Art. We never even went IN to the museum- we just explored outside on the grounds! I’ve never seen that many difference kinds of moss, and that many shades of green (and I’ve got a thing for green.) We stayed there for hours and even had some matcha and traditional sweets from a tea house in the garden… I love Japan.